Bolshaya Nikitskaya street experienced a sudden thaw in early 2014 thanks to the opening of a restaurant called "Ugolёk" ("Ember" in English). Founders Ilya Tyutenkov and chef Uilliam Lamberti (Uilliam’s) are well-known and widely admired, so there wasn't any doubt that the project would be a hit. True to expectations, the restaurant didn't disappoint. 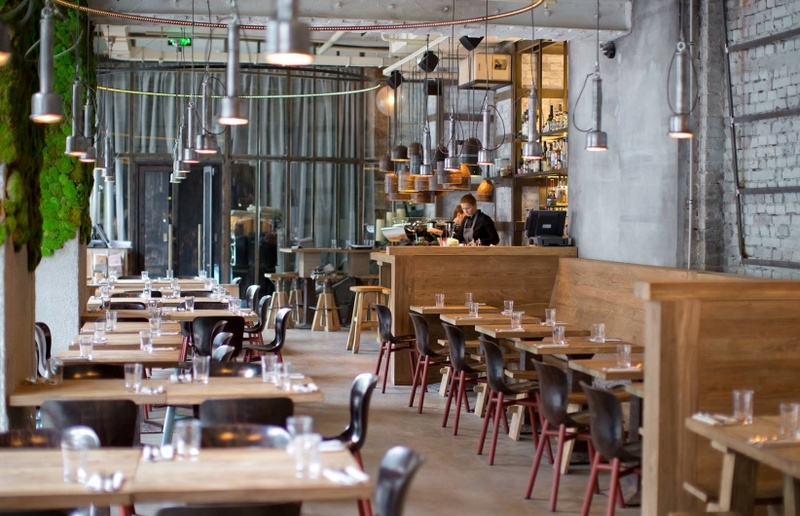 Everything at "Ugolёk" is original: huge, floor-to-ceiling windows; gray, concrete walls partly covered with real moss; austere, industrial pipes; urbanist light fixtures suspended from the ceiling; wooden tables arranged like in a trendy brasserie. 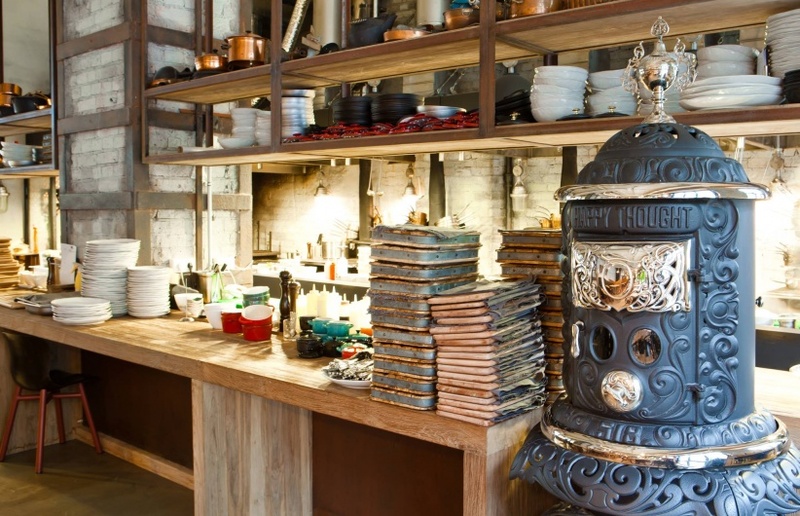 Deep inside the open kitchen, two antique, American, wood-burning stoves from the 19th and early 20th centuries crank out an irresistible aroma that tickles the tastebuds. Long derelict, they were specially restored and shipped to Moscow long before the restaurant opened, having received a second wind from Tyutenkov and Lamberti. They appear to be difficult to work with, and not every dish comes out tasting as it should, but it's probably a matter of time before the chefs sort it out. In any case, the stoves need time to get used to their new surroundings in Moscow. A sensitive palate can detect Lamberti's signature talent for mixing and matching ingredients with subtlety and originality. The "black Caesar salad," an ironic variation on the standard Caesar salad, is a perfect example. We recommend: the "black Caesar salad," smoked risotto with tongue, tandoori turkey with baked eggplant and quinoa. Apple tatin with vanilla sauce is a must for desert. Key info: Leveldva is a cozy bar on the 2 floor, its also created by Ilya Tyutenkov.